Youngsters from a Flintshire primary school have given a thumbs-up to a heart-warming play about the impact of dementia seen through the eyes of a young boy. 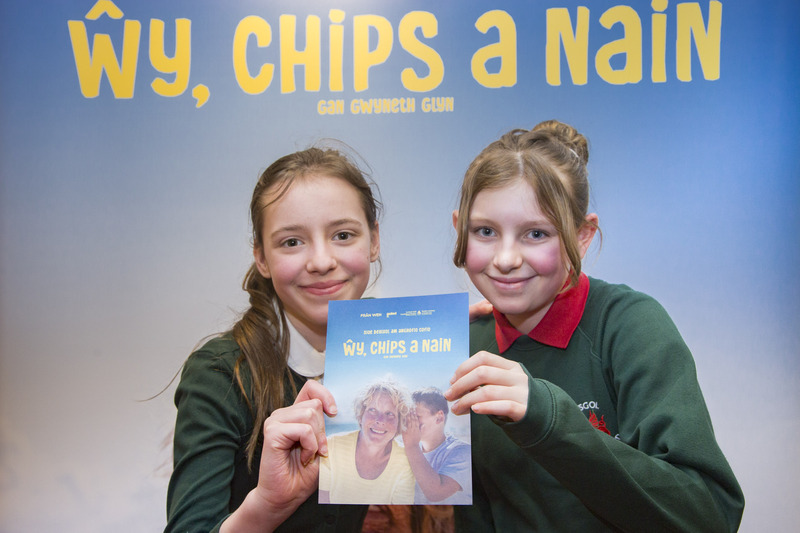 Pupils of Ysgol Gwenffrwd, Holywell, attended a performance of Ŵy, Chips A Nain (Egg, Chips and Grandma in Welsh) at Theatr Clwyd in Mold. The play tells the moving story of young Guto and how the cruel condition affects his relationship with his beloved grandmother. Guto loves spending time with his Nain and story involves a boat trip to Ireland, picnics by the sea, semaphore flags and fairies turning children into sausages. The production is on a nationwide tour that's been sponsored by Pendine Park, which has eight care homes in Wrexham and Caernarfo. It's been written by Welsh language poet and musician Gwyneth Glyn who visited Pendine's Bryn Seiont Newydd dementia centre in Caernarfon to speak to the residents and staff as part of her research. 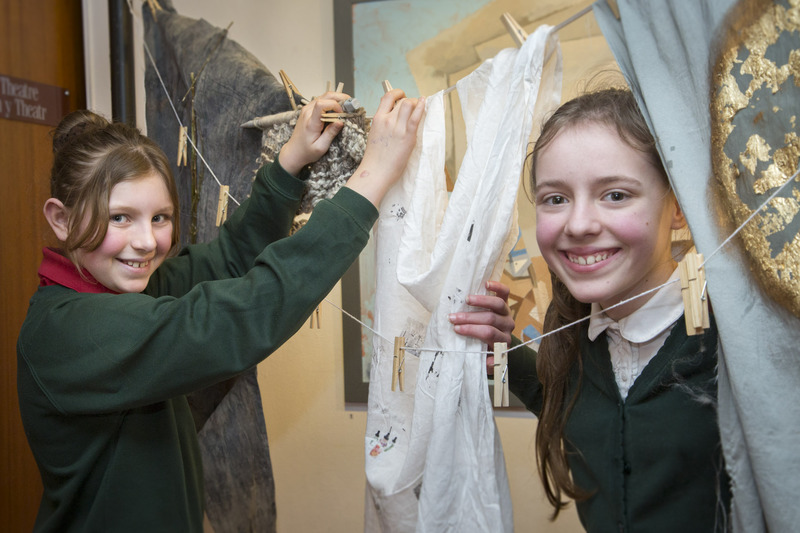 The result is a co-production between the Welsh language theatre company, Frân Wen, Galeri Caernarfon. 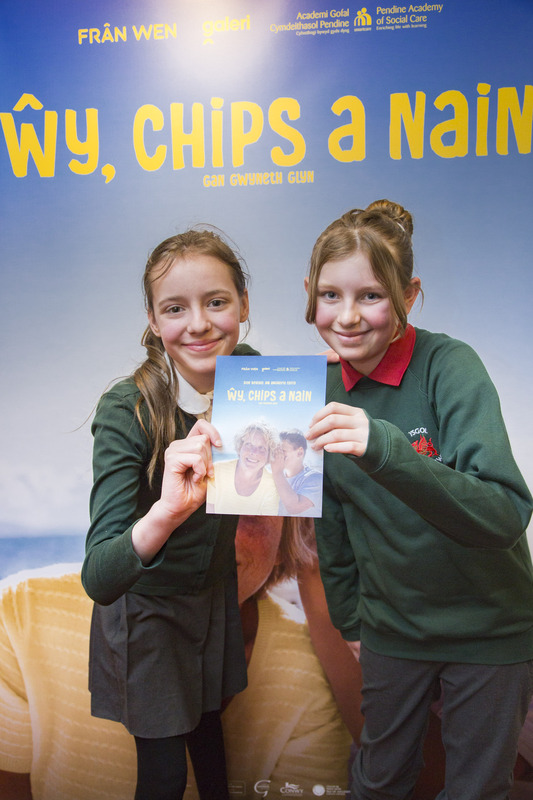 Ysgol Gwenffrwd Year Six pupils Bea Thomas, 11, and Emma Rowland, 10, from Holywell, were among the audience in the Emlyn Williams Theatre for the performance and afterwards Bea said: "It was very emotional and very good. "I know that older people can often forget things, but the play made it very realistic." Emma added: "It was good to understand more about what people go through. "It was very realistic to see how people feel if they're going through this and the effect it has on their lives." 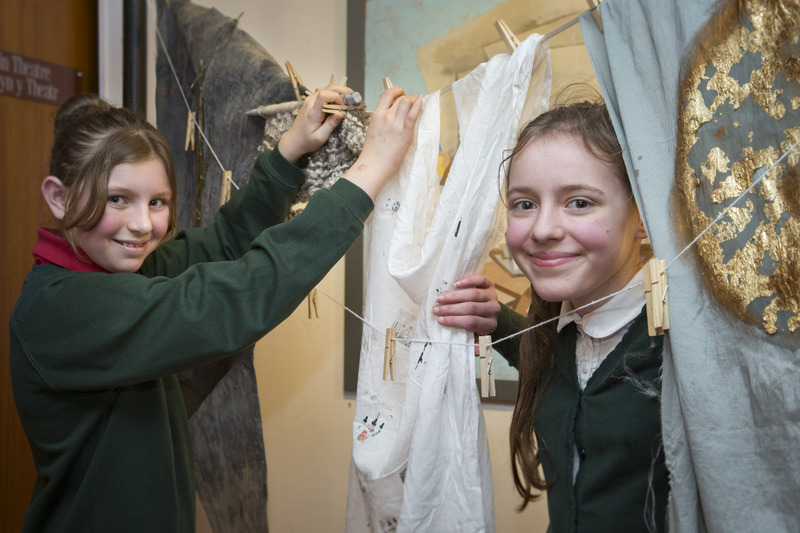 Author Gwyneth Glyn said: "Telling the story through the eyes of a young boy means it isn't a dark story and because it's important to offer the audience some light, hope and humour. "It's really a crystallisation of the relationship a boy has with his grandmother and how that changes as her dementia takes hold. Guto goes to his Nain's for tea after school and always enjoys egg and chips. "It's through this every day event of cooking egg and chips that we see the condition develop and how he sees the adult looking after him deteriorating due to her dementia. I don't want to spoil the play but the ending is, I hope, poignant but full of hope. "I really wanted to get the message across that dementia doesn't mean the end of a relationship but instead, in many ways, it enriches lives. "I wanted to see for myself how dementia affected people so I worked with Bryn Seiont Newydd's musician-in-residence, Nia Davies Williams. "It was a really enlightening experience and increased my depth of understanding of the condition and also gave me a great deal of hope as I saw how lives are enriched through music and art."